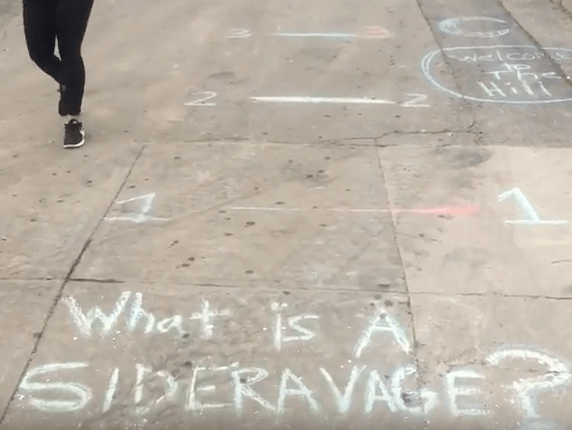 Back in May, Providence College education students measured Guzman Hill in “Sideravages” — PC’s own unit of measure — one final time. Three years ago, students of education professor Anthony Rodriguez discovered that Elizabeth Sideravage ’17 was the exact height — 5’7” — as Oliver Smoot, the student who inspired the Smoot unit of measure at MIT half a century ago. The PC students found Guzman Hill to be 33 Sideravages long – plus head and neck. The Guzman Hill section of campus is being reconstructed as part of the transformation of Huxley Avenue into a pedestrian path. Learn more: www.providence.edu/momentum.